I declare that I meet the requirements for Membership of the Australasian Academy of Paediatric Dentistry in the category selected as outlined below. The Membership of this Academy shall consist of dentists registered as specialists in Paediatric Dentistry and other persons whose qualifications and classifications are set out below. All categories of Members must also be members of, and maintain membership in good standing of, the Australian Dental Association Inc., the New Zealand Dental Association Inc. or such other National Dental Association approved by the Executive Committee. 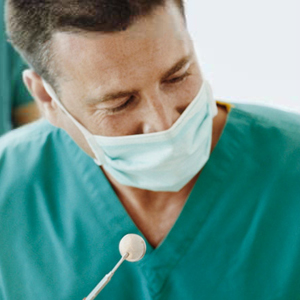 A dentist may be considered for Active Membership provided the applicant is registered as a Specialist Paediatric Dentist with a National Dental Board. A dentist will be eligible to be a Member in Progress provided the dentist has completed the requirements for registration as a Specialist Paediatric Dentist with a National Dental Board and is in the process of undergoing the registration process. This category of Membership is available to full and part-time postgraduate students enrolled in an Australian or New Zealand University higher degree course in Paediatric Dentistry approved by the Academy. A specialist dentist, who is a member of another dental academy, may be considered for Associate Membership provided the applicant is registered as a Specialist Dentist. Retired Membership shall, upon application, be available to Active Members who have voluntarily and completely retired from dental practice, administration and/or teaching, with the stipulation that the Member has been a dues-paying Active Member for a significant number of years as approved by the Executive Committee. Members engaged in part-time practice or employed in full or part-time dental administration, teaching or research for which remuneration is received, shall be ineligible for this category of Membership. Honorary Members may be elected for an outstanding contribution to the Academy and/or to Paediatric Dentistry following nomination by a Voting Member, who shall submit substantiating evidence of the nominee’s qualification for such Membership to the Executive Committee. Honorary Members, unless otherwise eligible to be Active Members, shall have the same privileges as Active Members, except for the right to hold office. The unanimous recommendation of the Executive Committee shall be required for consideration for election. An affirmative vote of three-fourths (3/4) of the Voting Members present and voting at any General Meeting, shall be required for approval. The Executive Committee shall be responsible for approving all applications for Membership. Upon receipt of an application for Membership, the Executive Committee shall review the applicant's qualifications to ensure that they conform to the respective requirements for Membership under rule 3.2. Any variance will be reviewed by the Executive Committee. Upon approval of the Executive Committee and completion of all stipulated requirements including payment of the initial subscription, the applicant shall become a Member of the Academy in the appropriate Membership category.